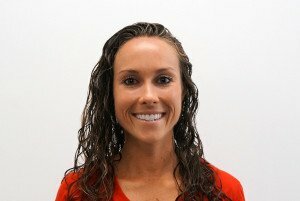 Stephanie is Athletic Lab’s Director of Wellness & Nutrition. In this role, Stephanie guides our very popular “Healthy Living Challenges” and oversees our nutritional programs. Prior to these roles, Stephanie was our Director of Private Training. Before joining the Athletic Lab staff, she played for the East Carolina Women’s soccer team. During her time there, she helped lead the team to a conference championship and she worked closely with the strength and conditioning coaches. After graduating, Stephanie interned as a strength and conditioning coach at both Athletic Lab and NCSU. Prior to her 4 year playing career at ECU, Stephanie played soccer for Enloe high school in Raleigh, NC. There, she was a four-time Cap 7 all-conference team, three-time all-region selection and all-state her senior year. She was also the team captain for three years and she was named MVP. Stephanie played CASL club soccer for ten years where her team won multiple state championships and a regional championship. Stephanie is a certified USA Weightlifting Sport Performance Coach and she has a BS degree in kinesiology. Additionally, Stephanie is recognized as a Certified Strength and Conditioning Specialist (CSCS) from the National Strength and Conditioning Association, a Level 1 coach by USA Track & Field and a Precision Nutrition Level 1 Coach.